There was a time when I spent my life immersed in user interface design and one of the things I remember learning, thank you Jacob Nielsen, was the need for consistency. 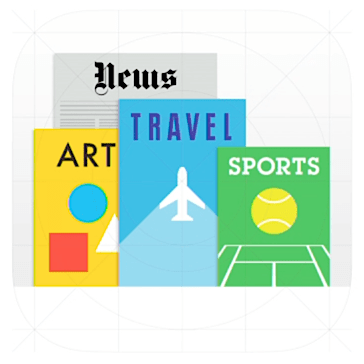 The fact that consistency in design is such a fundamental concept, leaves me increasingly irritated by the Newsstand in iOS7. Since the new design for iOS came out there has been a lot of press about problems, about people getting sea-sick, about Apple losing its way in the post-Jobsian world. Personally I like the new iOS look; but then I didn’t have a problem with the old skeuomorphic look either. In any case, one of the few consistently positive responses from people was that the Newsstand icon could finally be moved off the front screen and into a folder. For people who didn’t use Newsstand the Apple-dictated positioning had long been a running sore. But Apple has now replaced the positioning issue with another even more irritating problem. When you go into Newsstand you can’t get back out by any normal means. This is the one part of the whole iOS7 system where the normal gestures and controls don’t work as expected. Now I’m guessing that fixing the positioning problem led to this – because Apple decided to treat Newsstand like a folder. But it’s the only folder that goes full screen and the only one that comes up in the application changer – so acting like a folder fails entirely in terms of consistent user interface. How can no one at Apple have noticed this? Or if they did notice it, how can they have thought it acceptable? In the past I was prepared to accept the limitations of the Apple ecosystem as a trade-off for something that was beautifully designed and ‘just worked’. When the thing doesn’t ‘just work’ and isn’t even consistent within its own design principles, I start getting very itchy about the other restrictions and problems I see. While Newsstand is not in itself a big thing, it’s this sort of mistake that represents for me why I’m losing faith with Apple. There was a time when I would have given them the benefit of the doubt, because they were the ones pushing the boundaries and doing cool things. Now, much of what they do is incremental and about changing the facade rather than anything fundamental – and, when they don’t even do that as carefully as they used to, I’m increasingly looking at the competition. I use Google for maps, and for mail and calendar – and at so I’m no longer so tied to Apple. I’ll almost certainly get a new iPad when they come out; because, given the number of hours I spend using it, on a value for dollar invested basis I get more from my iPad than any other device ever. But I haven’t bought a new iPhone now for three generations and when the time comes that my ageing phone is looking too out-dated I’m more than likely going to jump away from Apple to someone who’s trying as hard as Apple used to.